Marc Haendle tells me that OCY has a new Central Agency listing, Shaman. 'This 26.82m yacht has been well maintained and upgraded over the past few years and the owner is open to serious offers,' says Marc. Shaman is a 1997 yacht built in carbon fibre to a Tripp design with hull by Green Marine and fitting-out by Derecktor and this superyacht sloop is exceptionally light and fast, regularly posting speeds above 20 knots. In addition to her modern hull shape, features such as a carbon fibre rig, retractable spinnaker pole, water ballast and hydraulically lifting keel are incorporated into the design. These features allow for high stability giving greater sailing comfort. The retracting keel allows access to shallow waters without sacrificing sailing performance. 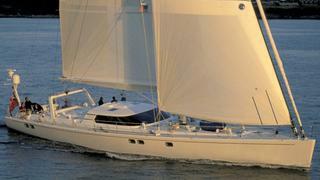 Shaman is down from €1.85 million to €1.75 million, tax paid.